Move the oven rack to the lowest position and preheat oven to 350°F. Grease a rimmed 13x18-inch baking sheet and line with parchment paper. Place sugar in a blender and and blend on high speed until powdery and fine. Empty into a small bowl. To the now empty pitcher, add the flour, baking powder, and salt. Blend on high until powdery. Leave covered to let the dust settle. In the bowl of a stand mixer fitted with the whisk attachment, whip the eggs and whites on medium speed. Slowly add the fine sugar, followed by the vanilla. Increase the speed to high and whip until pale, slightly thickened, and voluminous. Sift flour mixture over the eggs and gently fold just until combined. Transfer batter to the prepared baking sheet and smooth out the top. Bake for 10 to 12 minutes, rotating halfway through baking. The cake is done when the edges are golden and the cake springs back when gently pressed with your finger. While the cake is baking, grease parchment paper the size of the baking sheet, and place onto the working surface. Once the cake is done, turn over onto the greased parchment paper. Peel off the paper that was baked with the cake and tightly roll the cake with the new parchment paper, beginning from the short end. Let slightly cool, seam side down for 15 to 20 minutes. Unroll the cake and fill with lemon curd or jam, leaving a ½-inch rim unfilled. Roll the cake back up without the parchment and let cool completely. Cut off ½-inch from each end and transfer to serving platter. Sift on the powdered sugar. Best if served the same day. 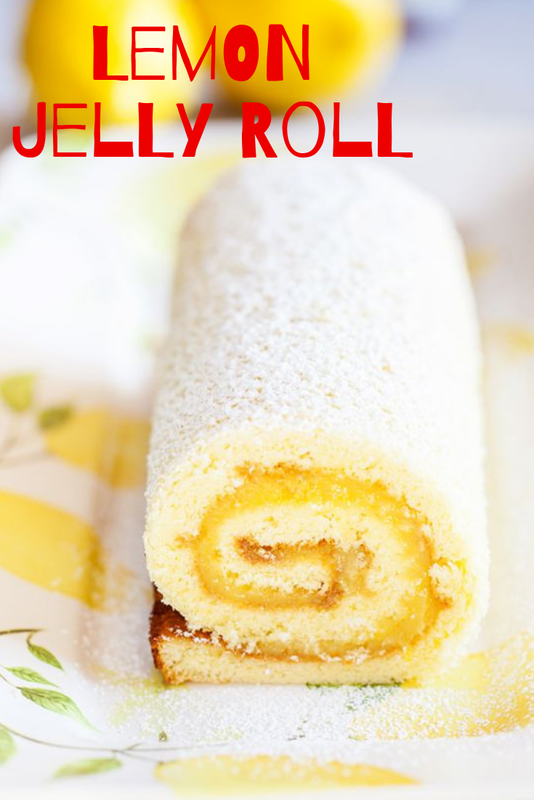 0 Response to "Lemon Jelly Roll"